In September of '09, I was awarded the Carol Otis Hurst Book Prize for Colonial Voices: Hear Them Speak, illustrated by Larry Day and published by Dutton Children's Books. In the letter announcing the award, Ralph Melnick, Assistant Director of the Westfield (Massachusetts) Athenaeum which is composed of the Milton Burrall Whitney Library, the Jasper Rand Art Museum and the Edwin Smith Historical Museum, stated, "It is with great pleasure that I wish to inform you that your wonderful treatment of the American Revolution, Colonial Voices: Hear Them Speak has been selected as the recipient of the Carol Otis Hurst Children's Book Prize. There were many excellent entries, but the selection committee felt that your work best fulfilled the mission of the prize, to celebrate the best in children's writing about the New England experience". The cash prize was given to me on September 26th at the annual Westfield Colonial Harvest Day. 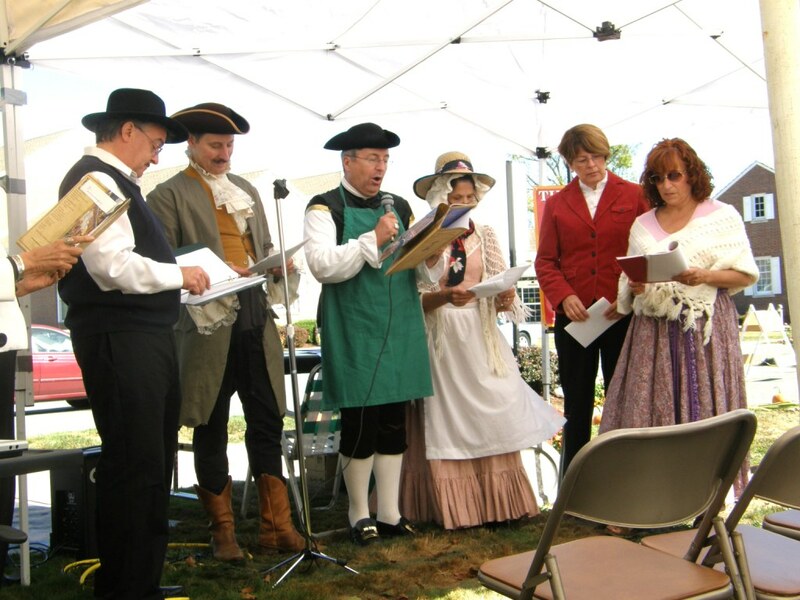 The Westfield Theater Group did a readers theater presentation of Colonial Voices: Hear Them Speak, which I narrated in the Performance Tent. 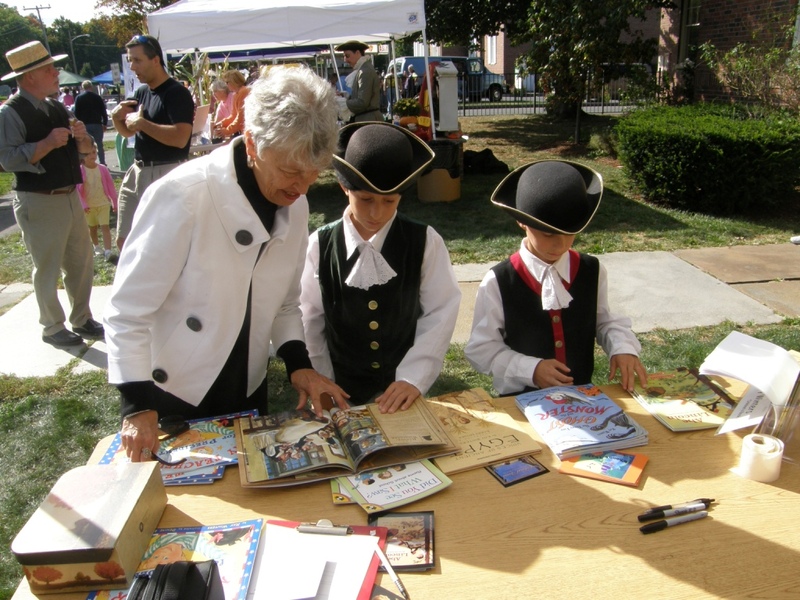 After the dramatic reading I signed copies of Colonial Voices: Hear Them Speak, in front of the library, which was a prime spot for hearing the Town Crier Contest, seeing the Horse Drawn Wagon, hearing the Colchester Fife and Drum Corps and watching the children from Abner Gibbs Elementary School do a colonial dance.